Think Skoda, and chances are that your thoughts will immediately drift towards the Octavia. In its seventh generation now, the Octavia is easily the most successful brand to have come from the VW-owned Czech automaker. 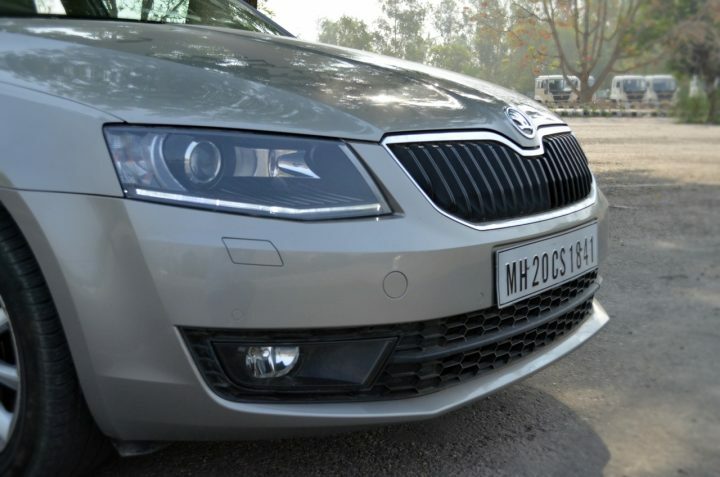 Also, it is the fifth generation Octavia which has played an instrumental role in enabling Skoda’s Indian subsidiary to establish a strong foothold in the country. The seventh generation model, which went on sale here in late-2013, has been among our favorites and has already received many rave reviews from the media fraternity. However, thanks to the advent of the new generation Toyota Corolla and the refreshed Hyundai Elantra, the Octy finds itself competing with some fresher, and arguably lethal, rivals. Wondering if the Octavia is potent enough to fend off its rivals, we recently decided to spend some time with its DSG-equipped Diesel variant. 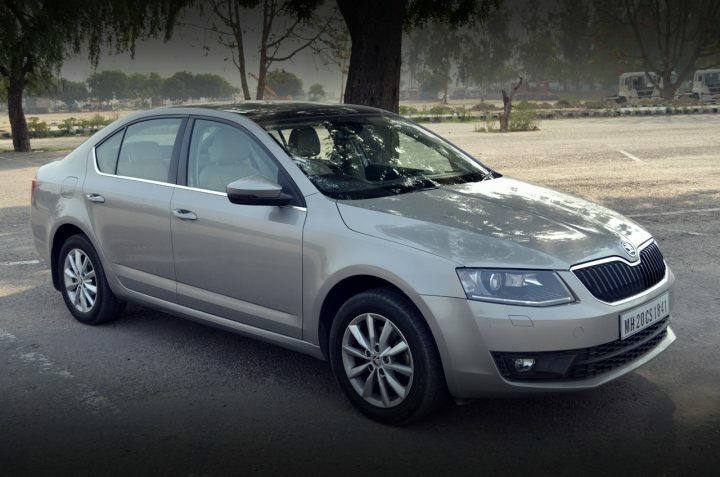 Read our Skoda Octavia Diesel review here to find more about this Czech warrior. The talking point of the 7th gen Octy’s exterior design is its front-end. With design cues befitting of any modern-day premium sedan from Europe, the Octy manages to look really sophisticated. The car’s headlights, which hold LED fixtures and a projector setup, impart the front fascia with a hint of aggressiveness. Further enhancing the sportiness is a diffuser that has been neatly integrated into the bumper. 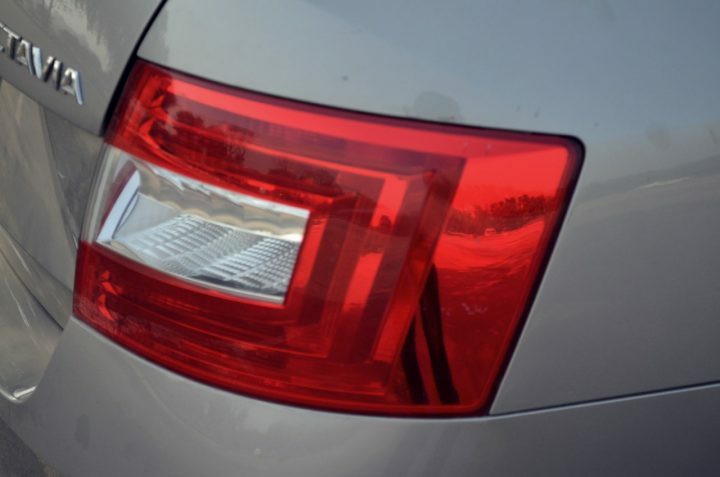 A typical Skoda radiator grille, a slim air-dam, and stylish fog-lamps are some other highlights of the front-end design. Overall, the Octy’s fascia looks decidedly modern and its similarities with the Vision-D concept ensure that there’s more than a hint of premium-ness in the front-end design. Look at the Octavia in its side profile, and you will be quick to marvel at how long this car seems to be. The Octavia enjoys a large greenhouse and the highlight here is the well pronounced black cladding on the aft portion of the rear window. There’s a neat shoulder line, which, together with the well pronounced wheel arches and the tasty-looking 10-spoke alloy wheels, makes the car look pretty athletic. Also, the long wheelbase and the neat surfaces ensure that the Octavia doesn’t look out of place when parked among even pricier machines. It is at the rear where the Octavia looks the neatest. While the Octavia’s bum has striking resemblance with that of the Rapid, a more angular bumper and a slightly taller boot makes sure that 7th gen Octavia looks modern than the Laura (6th gen Octavia). Maintaining a family look here are the C-Motifs in the tail-lamps, which were first seen on the 2005 Roomster. The Octavia is as classy on the inside as it is on the outside. The dashboard, and even most other panels, seem to have come straight out of an entry-level German luxury sedan, and there’s an abundance of soft-touch plastics, chrome trim, and high-quality leather. Athletic and Classy are two words that best describe the design of the new Octavia. There continues to be an understated sense of purpose that we have always loved the Octy for. In terms of space, the Octavia scores really well. The longer wheelbase is courtesy of the much hyped MQB platform, and rear seat passengers are sure to cherish the unmatched leg-space on offer. Even the front passengers enjoy a lot of leg space and even the tallest, and the most well-built, of occupants won’t complain of lack of space. The Octavia also boasts of phenomenal boot space with a luggage carrying capacity of 600 litres. Fold the rear seats down and this can be boosted to an unbelievable 1600-litres! 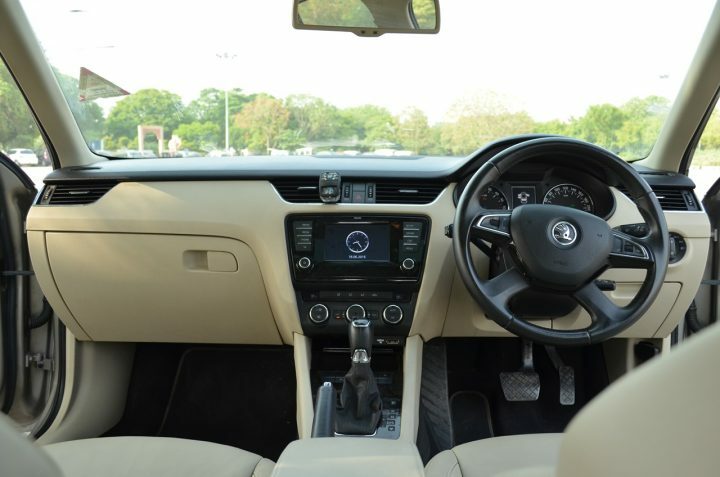 As we said, the Octavia comes with most of the features that one would expect a car of this price to boast of. However, a couple of features such as cooled/heated seats and USB connectivity for the music player were rather sorely missed during our drive of the Octavia. Powering the diesel variant of the 7th-gen Octavia is the tried and tested 2.0-litre turbocharged oil burner from the VW family of TDI motors. For the Octavia, this four-cylinder diesel mill puts out a maximum power of 143 PS and a peak torque of 320 Nm. The motor is pretty free-revving for a diesel engine and exhibits a sense of urgency with the way it goes about its business. Turbo-lag is almost minimal, and the motor pulls cleanly from below 1,500 rpm. While we might be nitpicking here, the NVH levels could have been a tad better. The cabin is not exactly isolated from the diesel clatter, and the motor gets fairly audible when given a whip. 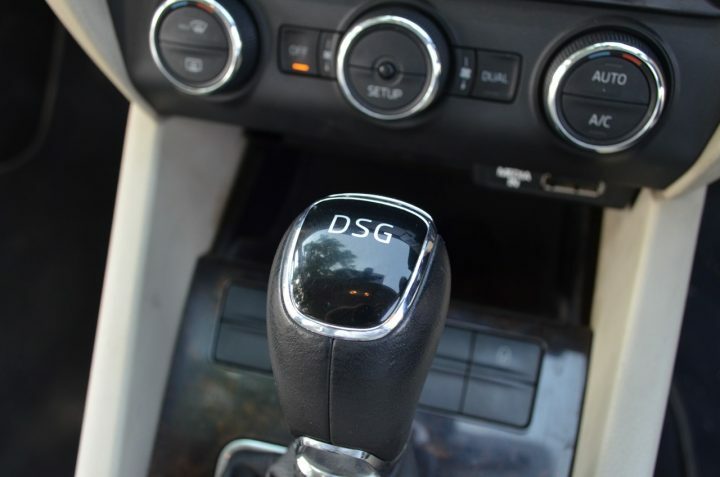 The Octavia Diesel that we drove came equipped with a 6-speed DSG transmission. We’ve always believed that VW TDI motors and DSGs make for really compatible partners and our belief gets stronger every time we pilot the Octavia Diesel Auto. Slot the gearlever into ‘S’ mode, put the pedal to the metal, and et voila! The Octavia charges forward with almost ferocious velocity, with upshifts happening at 4,700 rpm. Standstill to 100 km/h can be dismissed in a little more than 9.5 seconds and the progress is rapid till above 170 km/h. That said, the Octavia can continue to accelerate till the magical 200 km/h figure and is adequately powerful to outrun most of the competition. Lest we forget, the shifts are seamless and the transmission is responsive to even the minutest of throttle changes. ARAI would like you to believe that this car can deliver up to 19.3 km/l. However, one can easily extract around 14-15 km/l when driving sanely. This is an area where the Octavia almost excels! The ride quality is fantastic on most roads, and the minor undulations and craters do not upset this car’s composure. However, the chink in the armor gets apparent on hitting the broken roads, especially at high speeds. It is here when the passengers, especially at the rear, are subjected to some discomfort. Also, there’s some clatter from the suspension. True, we do understand that most of the Octavias might never see high speed cruising on broken roads, but our little test did bring out a rather surprising shortcoming of the Octy’s ride. Handling, however, is where the Octavia more than makes up for the slightly harsh ride quality. Yes, the Octavia is no Bimmer on a winding road, rather far from it, but this sedan is easily among the best FF family cars we’ve gone apex hunting with. The steering weighs up well with speed and has precision of a Swiss timepiece. The car holds on to its line really well, and doesn’t let you down even during last minute corrections. The body roll is almost absent and the Octavia seems to mimic the handling prowess of some of the pricier machines from the VW stable. The Octavia gets an all-disc brakes setup, with ventilated rotors upfront and solid discs at the rear. Braking is strong, and the feedback is fantastic. The brakes show almost negligible brake fade even under repeated hard braking. There’s no denying that we are absolutely in love with the way this car drives. The Octavia Diesel gets a really punchy motor, which comes mated to an equally lovable dual-clutch transmission. The car just loves being thrown into the corners, and on most occasions, the passengers of this car will be hard pressed to point out a flaw with the car’s ride. However, all’s not rosy about the Octy. 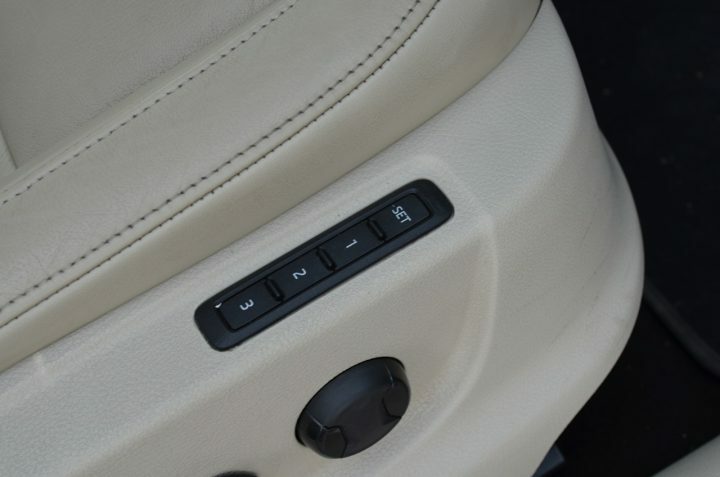 We do wish that Octavia came with some more comfort features, such as cooled/heated seats, push button start/stop and internal storage for the excellent Bolero audio system. And most importantly, Skoda needs to work on improving the after sales experience. However, a couple of issues notwithstanding, the Octavia is easily the finest entry-D segment hatchback we’ve driven. Stay tuned to Car Blog India for more car and bike reviews. 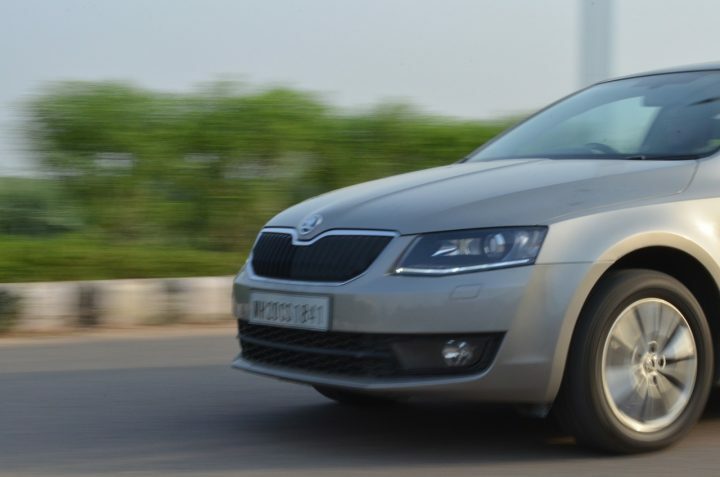 Also, what do you have to say about our Skoda Octavia diesel review and test drive report? Do share your views by penning them down in the comments section below.